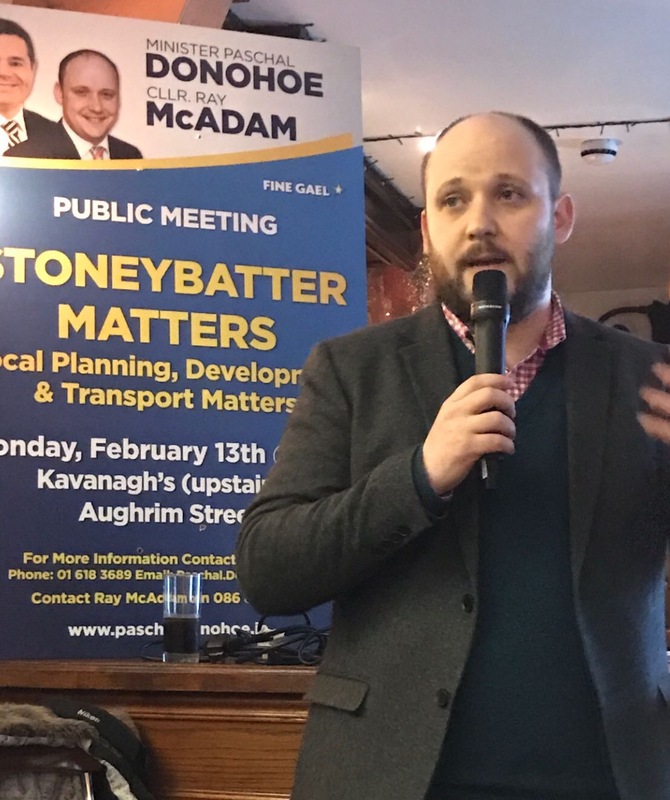 The recent Stoneybatter Matters public meeting organised by myself and Minister Paschal Donohoe heard from numerous local residents who support our argument for a statutory Stoneybatter Local Area Plan. Sadly, but not surprisingly, the City Council ignored the need for a balanced approach development in Stoneybatter by simply trotting the same line that City Planners have for the past four to five years. If the same Planners had have actually to advocates like myself and other local community groups, we could have a statutory Local Area Plan to place that would set out the type of development which would be allowed on the key sites across Stoneybatter. This entry was posted in Arbour Hill, Dublin City Council, Grangegorman, Montpelier, Stoneybatter. Bookmark the permalink.